SeniorCare Homes takes advantage of our smaller size to cater activities to each individual’s specific needs. Our staff works to enhance the life of each assisted living resident by creating moments of joy on a daily basis. We simply have more time to spend enhancing each resident’s day within our real home setting and supportive daily schedules. We always welcome family suggestions for specific activities that might benefit anyone living with Alzheimer’s or related dementia. 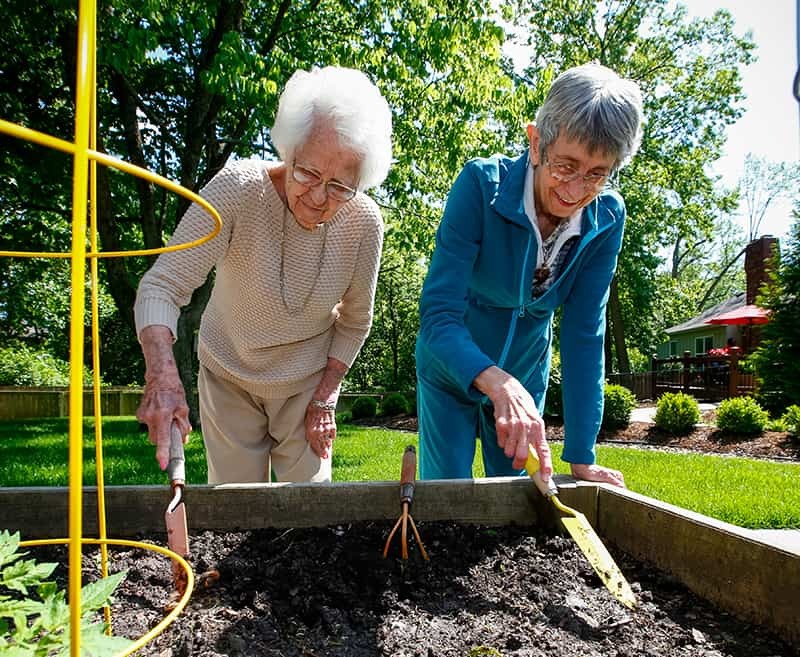 With a dedicated activities assistant who understands how to create meaningful activities and interaction for individuals living with Alzheimer’s and dementia, we can personalize our daily schedule on a moment’s notice. Monthly schedules for our assisted living homes are prepared, yet the most meaningful activities occur when someone suggests a spur of the moment trip to visit some puppies at Land of Paws or enjoy a hamburger in Prairie Village. Three company cars ensure activities extend beyond the front door and into the surrounding Johnson County area on a regular basis.